Rev Maurice Mason Knowles - founder of Eversley Preparatory School for Boys. 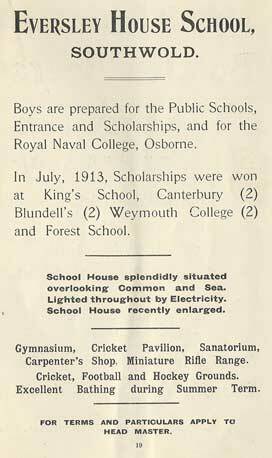 The school moves into the newly built premises, Eversley House, overlooking the Common, the following year. Bernard Bee - Headmaster. During this period the school buildings are further extended in 1919 and 1922. The school now has a frontage to the Common of 120 ft with more buildings around a quadrangle to the rear and the premises fronting Wymering Road are built. (SCGT1922). 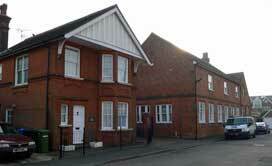 The school's playing field and pavilion are in Reydon at the junction with Wangford Road and Nigtingale Avenue. Bernard Bee - Headmaster. During this period the school gymnasium is built nearby in Blackmill Road. Bernard Bee - Headmaster. 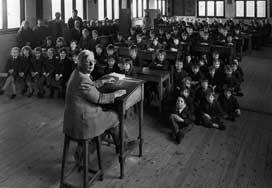 During the War, the school is evacuated to Coniston in the Lake District and the premises are requisitioned. Michael Graham joined the displaced school as a day-boy after his family had moved to Coniston from Barrow in Furness during the Blitz on Barrow Shipyard in Spring 1941. 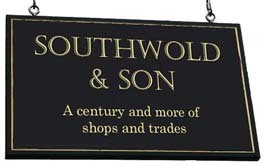 Later he became a boarder and Head Boy, moving with the school when it returned home to Southwold after the war. He recalls some of his teachers including Mr Wales (Latin), Mr Tebbit and Mr Heron (who would go on to become joint head). Michael returned to Cumbria in 1947 when he gained a scholarship to St Bees. Edward Heron and Max Raffe - Joint headmasters . Max Raffe - Headmaster. Edward Heron leaves this year. For memories of Peter Howard, a pupil of this time, click here. Max Raffe dies and is succeeded by local historian Alan Bottomley. This year, the school accepts girls for the first time. Alan Bottomley is succeeded as headmaster by John Dann for one term and then by Ben Nelson. Eversley School is forced to close as a consequence of falling pupil numbers. Above: the school, now converted into homes. 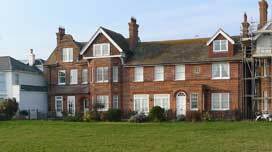 Below: view from the Paddock, Southwold Common, of houses, once parts of the school. 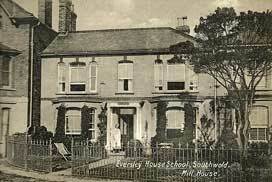 Mill House, part of Eversley School, in 1924. School buildings seen from The Common in 1926. The new Roman Catholic Church is on the right. Photo: Robert Turner supplied courtesy of Dorothy Ball. 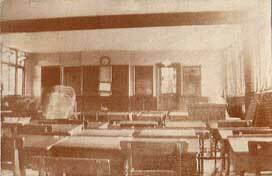 One of the classrooms photographed in 1926 by Robert Turner. Photo courtesy of Dorothy Ball. 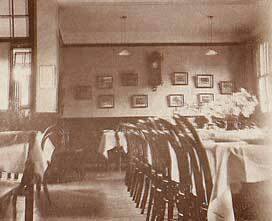 Part of the school dining room in 1926 by Robert Turner. 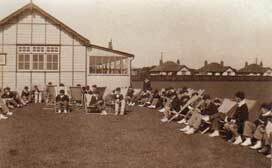 Eversley School playing field and pavilion in 1928. The playing field was in Reydon, roughly where the Sole Bay Health Centre and new housing development now stand. The bungalows stand on the Wangford Road.The photo was taken by Laurence Turner during a visit to watch his son, Keith play cricket. Headmaster Alan Bottomley photographed in the mid 1980s..
Eversley School diinner ladies in the mid 1980s. 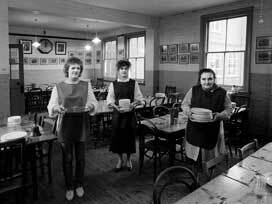 From left: Gillian Smith, Claire Smith, Joan Everson.